Pescetarian vs Vegetarian: Which diet is healthier for you? Many people may wonder what the difference is between a vegetarian and pescetarian diet. What do pescetarians eat that vegetarians CAN’T eat? Which is better for my health: being a vegetarian or pescetarian? Do pescetarians eat eggs or dairy? All those questions, however basic they may seem, are completely valid. Because the pescetarian diet is still fairly new, it’s hard to generalize what “most” pescetarians tend to eat. For the purpose of this article, we will use ourselves (pescetarians since December 2014) as examples of what pescetarians eat. What Do Vegetarians and Pescetarians Eat? The majority of vegetarians do not include red meat, poultry, fish, and seafood in their diet. Pescetarians eat a healthy array of fish and seafood that provide ample amounts of protein, and iron despite what skeptics may say. Fish such as salmon and tuna provide heart and brain healthy Omega 3’s and Omega 6’s. Vegetarians and pescetarians both do not eat any red meat, or poultry. Do Pescetarians and Vegetarians Eat Eggs or Dairy? Lacto includes dairy products, ovo includes eggs, while lacto-ovo includes dairy and eggs. We for example do not eat dairy products (cows milk, cheese) but we do eat eggs. Therefore, we are considered ovo-pescetarians. Both vegetarians and pescetarians include a variety of fresh vegetables and fruits along with whole grains and nuts. The majority of vegetarians and pescetarians tend to follow a healthy lifestyle, however, just like any other diet choice (like Paleo, or Vegan) – it is just as easy to fall into the trap of making bad food choices. Because of this, we encourage you to think of your choice as a lifestyle change vs simply a diet choice. Why Choose Vegetarianism Over Pescetarianism (and vice versa)? People choose a vegetarian diet for a multitude of reasons, one of the most common being for health. The production of meat these days is simply not what it was back when our ancestors were eating it. Meat today is over consumed and therefore very hard to keep ethical. Some people choose to go pescetarian as a means to transition into being vegetarian, or even vegan, and that’s okay too! 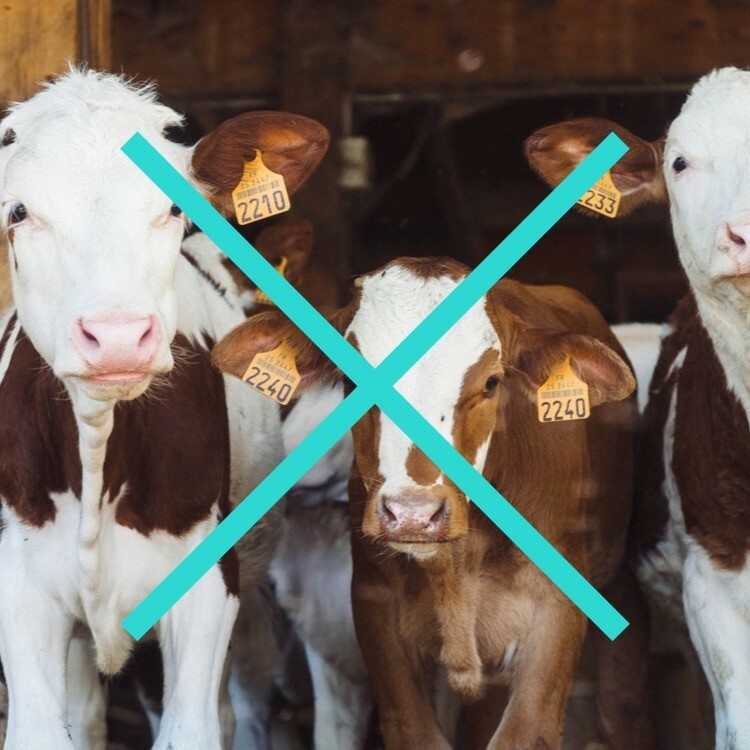 It’s been well documented that the meat and agricultural industry is a major contributor to global climate change among a host of other rather terrifying facts. 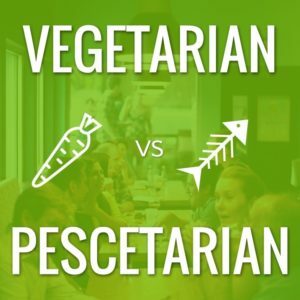 Like vegetarianism, the reason for choosing a pescetarian lifestyle differs from person to person. You will see in the above video that over-fishing is a huge problem as well. As a pescetarian it is up to you to choose sustainable, wild, and pole caught fish where possible. By doing that, you are not going to be contributing to the problem of over-fishing. Our brand of choice when it comes to wild, sustainably caught, canned fish (like tuna) is Wild Planet Foods. 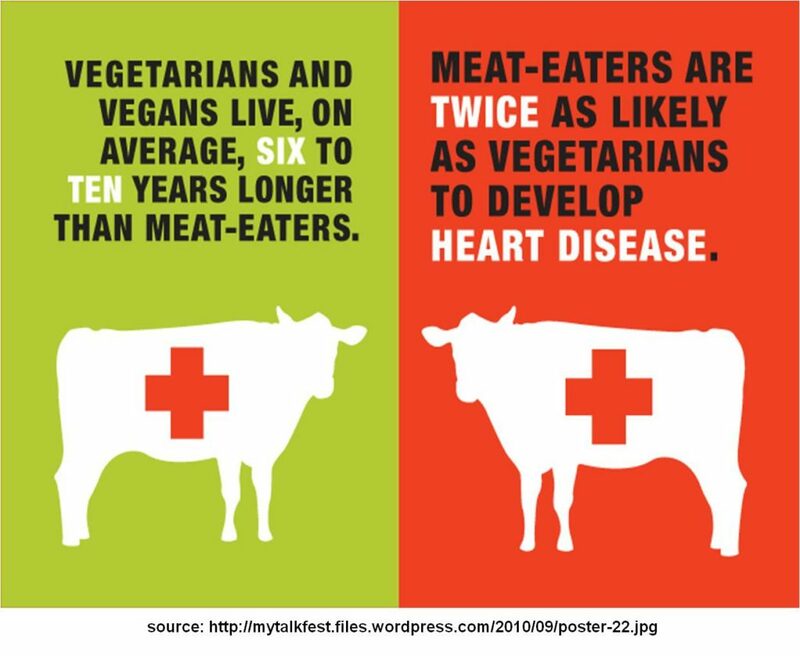 It’s pretty hard to argue science backed evidence that reducing your meat consumption (or eliminating it) will greatly impact your health positively. There is a case to be made however that pescetarians may have the edge over vegetarians when it comes to cancer prevention, specifically; colorectal cancer. According to the 7 year study published in JAMA Internal Medicine, aJournal of the American Medical Association, people who eat a diet rich in plant based foods with the addition of fish are 43% less likely to get colorectal cancer. Furthermore, within the sample group of 78,000 people, the cases of contracting colorectal cancer dropped a pretty impressive 27% when switching from vegetarian to pescetarian. Omega-3 fatty acids were the study’s authors reasoning for this drop since pescetarians do include fish in their diet. The lists below are far from complete since the health benefits of both vegetarian and pescetarian diets are immense, however we’ve tried to round up a few of the top benefits for each diet. Groups of pescetarians and vegetarians haven’t been studied against each other very much, so it is still quite difficult to determine the exact outcomes. It should be said however that anyone who chooses either lifestyle would likely tend to be more health conscious, active, not smoke, and consume little alcohol. You might be under the impression that protein can be harder to obtain through a vegetarian or pescetarian diet, as we’ve all been taught that the main sources of protein are found in meat and poultry. This is simply not true and in fact, there are studies that have been published stating that most people eat more protein that they actually need. Protein is absolutely essential for a healthy functioning body. Protein is needed for building and repairing muscle tissue, as well as for producing hormones, antibodies, enzymes and blood cells. A protein deficiency can result in slower wound healing, muscle pain, poor sleep, and even surprising symptoms such as food cravings. It’s a myth that you have to drink milk to be sure you are getting enough calcium. Blackstrap molasses, cooked collard greens and fortified dairy free milks are excellent sources of calcium. Seafood is an excellent source of zinc, however if you are a vegetarian, be sure to include plant-based sources of zinc to your diet, such as legumes, grains, nuts and seeds. Depending on where you live and the ease of access you have to fresh fruit, veggies, and fish… the cost can be quite significant. It’s not only the change of season that can contribute to the cost. If certain ingredients can’t or aren’t grown in your local area, then they’re most likely shipped in from out of province/state/country and all this travel increases the cost you pay at the register. Try to buy local as much as you can and remember that frozen vegetables are great sources of nutrients! When it comes to buying your fish if don’t happen to live on a coast, check the sticker on the package and if you’re not certain, there’s no harm in asking where the fish came from. As a new pescetarian in a family of meat-eaters, it may be hard if you’re making the transition yourself. Try to find a family member to try going pescetarian with you, even just part of the week. Have a question or want to leave a comment? We thought it’d be fun to include a few well-known famous celebrities and influential people who adopt(ed) vegetarian or pescetarian diets! You might be surprised to find a favourite of yours in the list! Vegetarians: Natalie Portman, Chris Martin, Ozzy Osbourne, Albert Einstein, Bill Clinton, Prince, Mike Tyson, Rosa Parks, Carl Lewis. Previous Post: « Alkaline Smoothie Recipe: Energizing, Delicious And Only 6 Ingredients!